with my friend Adrienne yesterday. I think we were in Belding but I'm not sure. I was not paying much attention, I was just along for the ride and the company! 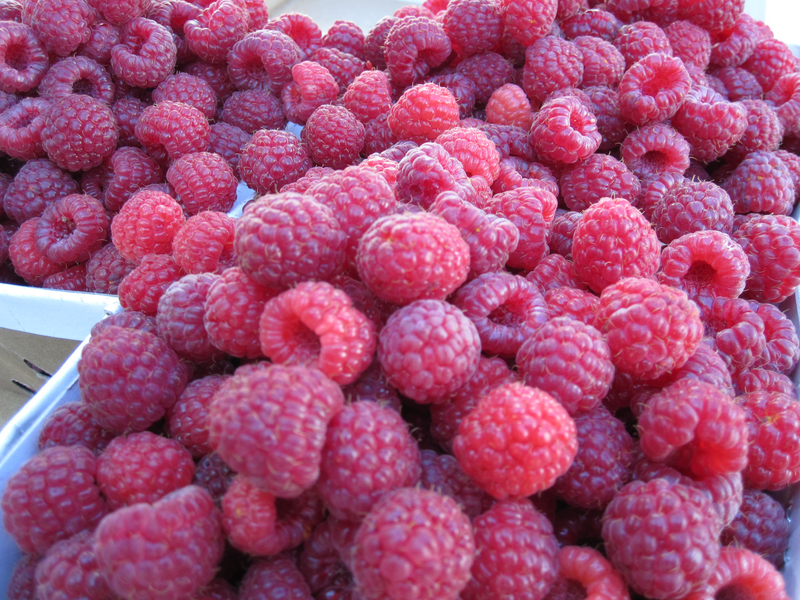 We just chatted as we picked, which made the time fly. It was so nice to be out in the country air with the bees buzzing and the geese honking as they flew over. 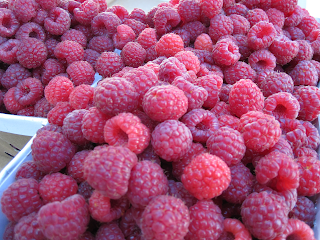 I got three heaping quarts of beautiful raspberries to play with. I'm thinking of making some jam and giving a try at a cordial. I'll keep you posted on my progress. Who knows they may just all go in the freezer! Yum! 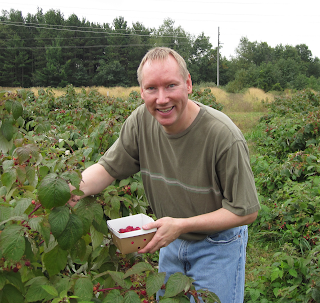 I need to get out to DeLanges and get some raspberries before they are done. Looks like you had a great time!